An FM-CW (Frequency Modulated Continuous Wave) radar is one kind of HF (High Frequency) radar. By using of FM-CW radar, we can measure vertical drift velocity (and virtual height) of ionospheric plasmas with high time resolution. 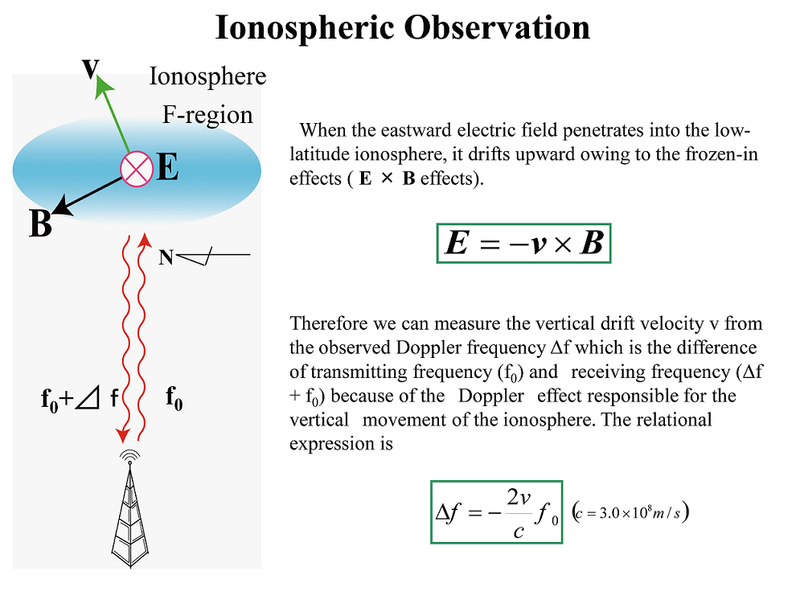 Therefore, we can estimate the intensity of the ionospheric electric fields. 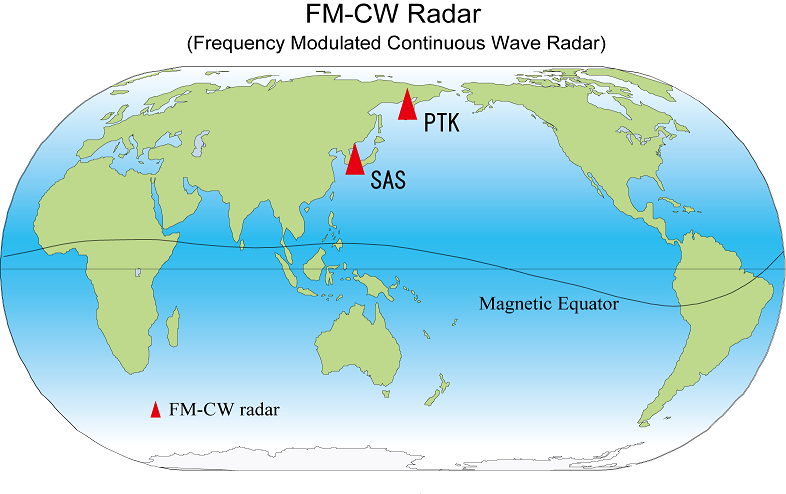 We have installed an FM-CW radar at a low-latitude station Sasaguri,Japan in 2000 in order to measure the electric fields that penetrate the ionosphere. Our Doppler observation started in November, 2002. 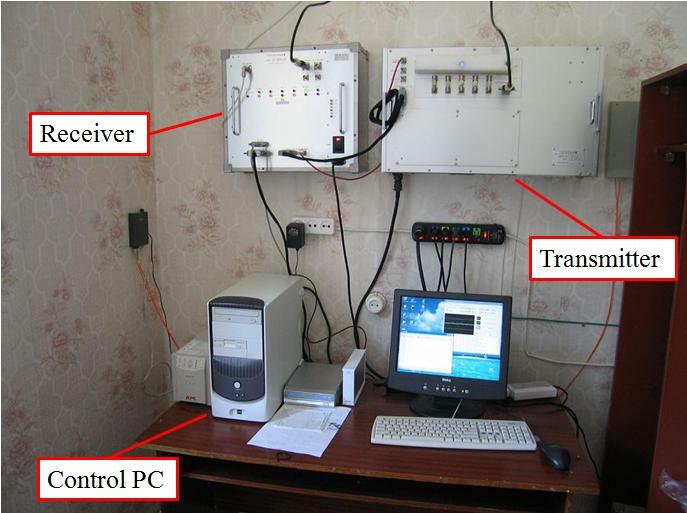 Furthermore we have installed same type of FM-CW radar at Paratunka, Russia in 2005 and doppler observation started in September, 2006. FM-CW radar system at Paratunka, Russia.